Start off your visit on the 3rd (Wed): discover the magic at Disneyland Park. Keep things going the next day: find something for the whole family at Universal Studios Hollywood. To see photos, ratings, and more tourist information, go to the Los Angeles online trip itinerary maker . Birmingham, UK to Los Angeles is an approximately 15-hour combination of train and flight. You can also fly; or fly. Traveling from Birmingham to Los Angeles, you'll gain 8 hours due to the time zone difference. Traveling from Birmingham in July, things will get a bit warmer in Los Angeles: highs are around 33°C and lows about 22°C. Wrap up your sightseeing by early afternoon on the 5th (Fri) to allow time for the car ride to Grand Canyon National Park. On the 6th (Sat), stroll through Bright Angel Trail. To find reviews, ratings, where to stay, and tourist information, go to the Grand Canyon National Park driving holiday planning website . You can drive from Los Angeles to Grand Canyon National Park in 7.5 hours. Alternatively, you can do a combination of flight and bus; or do a combination of flight and shuttle. You'll lose 1 hour traveling from Los Angeles to Grand Canyon National Park due to the time zone difference. 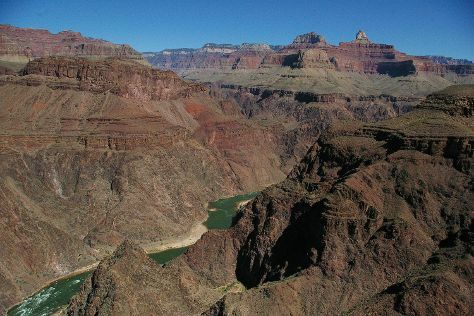 Traveling from Los Angeles in July, plan for little chillier nights in Grand Canyon National Park, with lows around 13°C. Finish your sightseeing early on the 7th (Sun) so you can travel to San Francisco. San Francisco is known for nature, museums, nightlife, shopping, and childrens museums. Your plan includes some of its best attractions: take in the views from Golden Gate Bridge, explore and take pictures at Golden Gate Park, browse the different shops at Ferry Building Marketplace, and head off the coast to Alcatraz Island. To see where to stay, traveler tips, ratings, and more tourist information, you can read our San Francisco holiday planner . Traveling by combination of bus and flight from Grand Canyon National Park to San Francisco takes 8.5 hours. Alternatively, you can do a combination of shuttle and flight; or drive. You'll gain 1 hour traveling from Grand Canyon National Park to San Francisco due to the time zone difference. When traveling from Grand Canyon National Park in July, plan for a bit cooler days and about the same nights in San Francisco: temperatures range from 26°C by day to 16°C at night. Wrap up your sightseeing on the 10th (Wed) to allow time to travel to Las Vegas. Start off your visit on the 11th (Thu): admire the engineering at Hoover Dam, then try to win big at Bellagio Hotel and Casino, then take in nature's colorful creations at Bellagio Conservatory & Botanical Gardens, and finally don't miss a visit to Bellagio Fountains. Get ready for a full day of sightseeing on the 12th (Fri): get the adrenaline pumping with an extreme tour and then get a taste of the local shopping with The Strip. To see more things to do, traveler tips, reviews, and other tourist information, you can read our Las Vegas trip itinerary maker app . Fly from San Francisco to Las Vegas in 4 hours. Alternatively, you can drive. Plan for much hotter temperatures traveling from San Francisco in July, with highs in Las Vegas at 47°C and lows at 32°C. 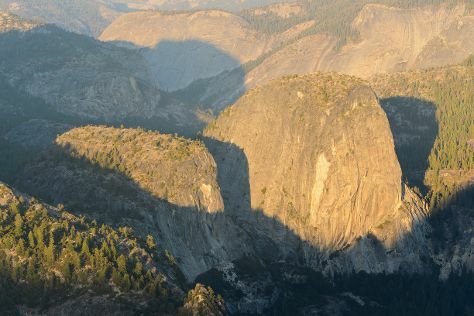 Wrap up your sightseeing by early afternoon on the 13th (Sat) to allow time for the car ride to Yosemite National Park. On the 14th (Sun), explore the striking landscape at Glacier Point, then trek along Tuolumne Meadows, and then make a trip to Olmsted Point. On your second day here, get great views at Tunnel View and then stroll through Mariposa Grove of Giant Sequoias. For ratings, where to stay, maps, and other tourist information, read our Yosemite National Park trip planner . You can drive from Las Vegas to Yosemite National Park in 9 hours. Plan for cooler temperatures traveling from Las Vegas in July, with highs in Yosemite National Park at 33°C and lows at 9°C. Wrap up your sightseeing by early afternoon on the 16th (Tue) to allow time for travel to New York City. Start off your visit on the 17th (Wed): appreciate the history behind 9/11 Memorial and then go for a walk through Central Park. On your second day here, make a trip to The Metropolitan Museum of Art, take in the pleasant sights at Times Square, and then take in panoramic vistas at Empire State Building. To see more things to do, photos, where to stay, and more tourist information, read New York City tour itinerary builder website . Getting from Yosemite National Park to New York City by combination of car, flight, and bus takes about 11.5 hours. Other options: do a combination of bus and flight; or drive. You'll lose 3 hours traveling from Yosemite National Park to New York City due to the time zone difference. Traveling from Yosemite National Park in July, New York City is much warmer at night with lows of 26°C. On the 19th (Fri), wrap the sightseeing up by early afternoon so you can travel back home. On the 20th (Sat), pause for some photo ops at Cabrillo National Monument, then examine the collection at San Diego Model Railroad Museum, and then let little ones run wild at Balboa Park. Get ready for a full day of sightseeing on the next day: meet the residents at San Diego Zoo and then see the interesting displays at Maritime Museum of San Diego. To see reviews, where to stay, other places to visit, and more tourist information, use the San Diego travel route planner. You can do a combination of bus and flight from New York City to San Diego in 8.5 hours. Alternatively, you can fly; or drive. Traveling from New York City to San Diego, you'll gain 3 hours due to the time zone difference. When traveling from New York City in July, plan for little chillier days in San Diego, with highs around 29°C, while nights are about the same with lows around 23°C. On the 22nd (Mon), wrap the sightseeing up by early afternoon so you can travel back home. On the 23rd (Tue), meet the residents at Aquarium of Niagara, then explore the fascinating underground world of Cave of the Winds, and then brush up on your military savvy at Buffalo & Erie County Naval and Military Park. Get ready for a full day of sightseeing on the next day: contemplate the long history of Frank Lloyd Wright's Darwin D. Martin House Complex, then get outside with Niagara Jet Adventures, and then take in the dramatic scenery at Niagara Falls. To see where to stay, photos, other places to visit, and tourist information, refer to the Niagara Falls road trip planning website . Getting from San Diego to Niagara Falls by combination of flight and bus takes about 10 hours. Other options: do a combination of flight and train; or drive. The time zone changes from Pacific Standard Time to Eastern Standard Time, which is usually a 3 hour difference. Traveling from San Diego in July, plan for a bit cooler nights in Niagara Falls, with lows around 20°C. Wrap up your sightseeing by early afternoon on the 25th (Thu) to allow time for travel back home.